Enterprise software development is labor-intensive. And it is made more costly than necessasry by some of the most popular technologies which can be needlessly complex. The combination of Ruby and Ruby on Rails provides a simple, stable platform for cost-effective software development. 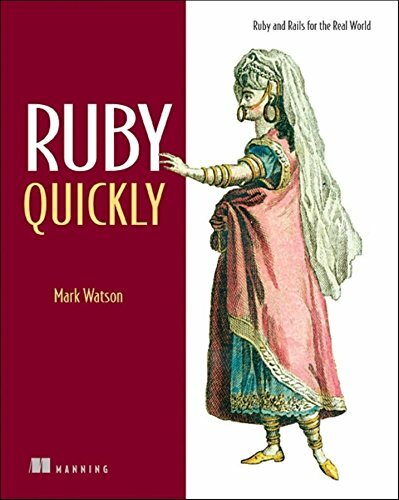 The book quickly reviews Rails development and then move to essential enterprise subjects like Web Services (and their relationships with SOA), data persistence, messaging, interoperability with other platforms, handling documents and search, spell-checking, and report generation. It also covers new Web 2.0 technologies like Ajax and the read-write Web. It is rich in examples and covers numerous interesting topics readers will be surprised to see, such as advanced search with Ferret, how to access del.icio.us and Flickr from Ruby, or how to use Yahoo's general search from Ruby. The book closes with a look at the Semantic Web and why it makes sense to adopt semantic Web technologies. About: Enterprise software development is labor-intensive.